They're the power mentors--those individuals who have achieved the highest levels of success and can offer startups a long-view perspective and wide network of contacts and resources. 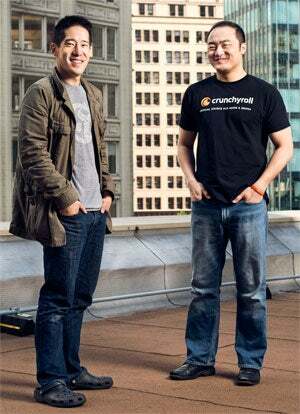 For the founders of Crunchyroll, a San Francisco-based platform for Japanese anime and Asian content, that guidance came in the form of former Hulu CTO Eric Feng, who is helping them carve a niche in the competitive online premium video sector. Crunchyroll's CEO, Kun Gao, says having access to Feng's experience and vision is "like shining a spotlight on the path so we don't waste resources going down a path that might not work." Finding and enlisting a mentor--one with the experience, connections and coaching ability you crave--is not easy, especially if you're not in an entrepreneurial hotbed like Silicon Valley or New York City. Connecting with and impressing them requires equal parts sleuthing, networking and chutzpah. Here are some tips learned from business founders who went all out to line up the guidance they needed. First, know what you're looking for. To pinpoint the right person, determine exactly what it is you need, advises Loyola Marymount University management professor Ellen Ensher, co-author of Power Mentoring: How Successful Mentors and Protégés Get the Most Out of Their Relationships. Are you trying to build a client base? Do you need financial advice? "That's going to tell you where to look for your power mentor," she says. Go back to school. If you don't have a specific person in mind, contact colleges, universities and incubators in your area. Many are actively encouraging entrepreneurship and may have high-profile mentors ready to help. Bertrand Gervais, a mentorship consultant and author of Who's in Your Top Hive? Your Guide to Finding Your Success Mentors, says these programs are underutilized. "I didn't go to Harvard, but I did look up every professor who was associated with leadership and mentorship there. I called maybe five of them and got two lunches," he says. Work backward. If you've narrowed in on your dream mentor, tap LinkedIn and your alumni association for mutual contacts who might provide an introduction. Then it's time for some sleuthing. Where did the person go to school or work previously? What are his or her interests? Does the mentor participate in online professional groups or special-interest forums? Gervais says Quora is a good place to find thought leaders and see what kind of advice they offer in answers. Search for the mentor's name or for discussions about related topics. IdeaCrossing.org is another free platform that helps up-and-coming business owners connect with established CEOs. You've got the power. Now what? Respect their time. Understand what you need from the mentor and make the "asks" small, says mentoring expert Bertrand Gervais. "Ask for 10 minutes on the phone instead of asking for a lunch," he says. Then, be sure to keep the call to 10 minutes. Be prepared. Angel investor and former Ask.com chief strategy officer Claudio Pinkus will have detailed questions for prospective protégés about their plans, strategy, competitive analyses and financials. Conduct your research and compile the information you need so you're ready to provide answers and can save valuable meeting time. Settle for second. If your dream mentor is busy and connects you with someone else, jump at the chance--the one you thought would be best might have a better sense of what it is you actually need. What's more, mentoring expert Devora Zack says, "now you're always one contact away from that person." Admit what you don't know. Consultant and former Burt's Bees director Scott Lutz is turned off by 'treps who think they know everything. "Big egos feel they have to be experts in everything. But when you're starting a business, you have to be humble to learn the things you don't know," he says. Follow up. "Nothing makes a worse impression than having someone spend time with you and not following up," Zack says. She suggests sending a note, a small gift or relevant information such as an industry article or report. "A hand-written thank-you note is the secret weapon of networking." Show up. Arriving uninvited at someone's home is a bad idea, but showing up at a prospective mentor's speaking engagements or industry events can lead to opportunities. That's how Mike Suprovici, co-founder of Mountain View, Calif.-based Explorence--which is developing a game platform for wearable sensors--connected with Evernote CEO Phil Libin. After attending Libin's talk at the Founder Institute accelerator in Palo Alto, Calif., Suprovici approached him with a brief pitch. Libin liked what he heard, granted Suprovici a follow-up meeting and has been a mentor ever since. Baldwin, N.Y.-based Gervais landed one of his Harvard lunches with a fib that he would be "in the area" in a few days. That wasn't exactly true, but when the professor agreed to meet, Gervais made the trip to Cambridge, Mass. Talk to everyone. David Simnick had finally convinced Whole Foods Market to sell his buy-one-give-one sustainably made soap. In 2012 the co-founder and CEO of Rockville, Md.-based SoapBox Soaps was demonstrating the product in a Whole Foods in Ohio when a woman approached him. "She said, 'I know someone who could help you,'" he recalls. Simnick might have ignored the stranger, but he's glad he didn't. The "someone" turned out to be consultant Scott Lutz, former director at Burt's Bees, the grandfather of sustainable brands. Lutz became an advisor who helped SoapBox find investors and expand. Devora Zack, author of Networking for People Who Hate Networking, says such connections happen because "people want to help other people … it's up to you to show them how they can help." Be bold. When Tony Knopp, co-founder and CEO of Spotlight Ticket Management in Calabasas, Calif., landed a meeting with Claudio Pinkus, the former Ask.com chief strategy officer wasn't interested in getting involved. "I didn't think the market [for a SaaS to manage company tickets for sporting events] was big enough," Pinkus says. But Knopp wouldn't take no for an answer. He kept reaching out with more information and questions until Pinkus finally agreed to help. Author Zack has also been bold. A book professional she hoped to meet at a conference was bombarded with admirers. She thought, How can I be useful to him? "I realized he's been trapped in this conference center for two days," she recalls. She got close enough to ask how he likes his coffee. After a bit of cajoling, he told her, and she dashed out for a cup. Amused, he invited her to join him while he drank it. "Great entrepreneurs and CEOs and company-builders are passionate," Feng says. "If you can get in front of someone and show your passion, you'll be surprised at how addictive and attractive that is. You never know what serendipitous relationships will come from that."